Realism and Naturalism – In prose that we term realist (small R), the style of expression is “realistic,” meaning “as things actually happen,” not exaggerated for emotional effect. A real story, with real people, drives the power of the text. The style of content is that of a “real” story, in which a true-to-life seeming character is more important than the contours of an epic, earth-shaking plot. In literary history, Realism (big R) was dominant from roughly 1850 to World War I (1914) and is characterized best by the work of, in the early years or French phase, Balzac and Flaubert and later, in the American phase, by Henry James and Mark Twain. Realism attempts to portray the real world, real emotion, real thought without relying on conventions (symbols) or mood/affect drivers such as the pathetic fallacy. Realism instead focuses on how we really think and talk, eschewing grand narratives for stories about workers and the middle or lower classes. Thus Realism often relies on the archetype of the everyman. In Realism, look for attention to the city as opposed to the Romantic (and increasingly depopulated) countryside. The following literary style, Naturalism, extended an interest in the real and the everyday back to the creation of the real: How do various groups come to exist? How does Realism (real characters’ real, small, individual stories) function at the level of society as a whole? Naturalism owes much Marx and Darwin. 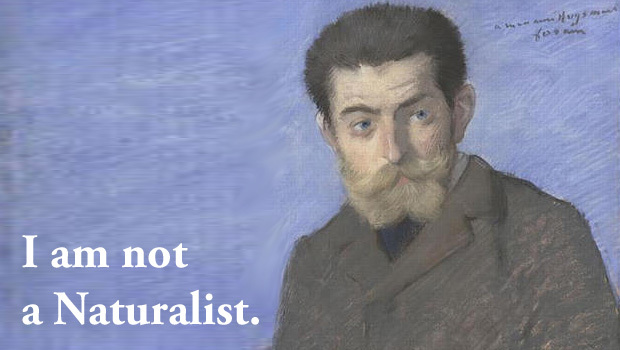 The principal Naturalist is Zola. But today’s prose, after Modernism and Postmodernism, is not capital-R Realist in the way that James’s is. Instead of merely well-formed reflections on real life (prose as mirror), after Kafka and Woolf and Joyce, we also include fragments of real life—mixed textual media and direct thoughts. Postmodernism opens up a whole new series of games to play in fiction by asking how else we can work within that art, without narrative, using found textual objects, relying on artificial constraints, mixing times and modes and conventions.